These ECU’s are very common to get faulty and we can remanufacture the units but due to high public demands, we now carry these ECU’s in stock. We have brand new genuine units on the shelf ready to dispatch same day. These units are virgin ecu’s i.e. not coded and may need coding to your vehicle. This entry was posted in ENGINE ECU's, LATEST NEWS and tagged 16267710, astra, double, ecu, engine, isuzu, new, plug, potted, sealed, silver, twin, unit, vauxhall by smartAjaz. Bookmark the permalink. Please call our office with the details you’ve supplied for an instant quote. Please call our offices on 08712 88 44 90 for a quotation on this part. 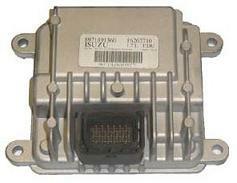 Please can you give me a quotation for my ECU 16267710 which is not Jumping. It takes many many times to start and my cows are running away. We can repair your unit and also supply brand new units which we carry in stock. I have sent you an email with pricing and full information.